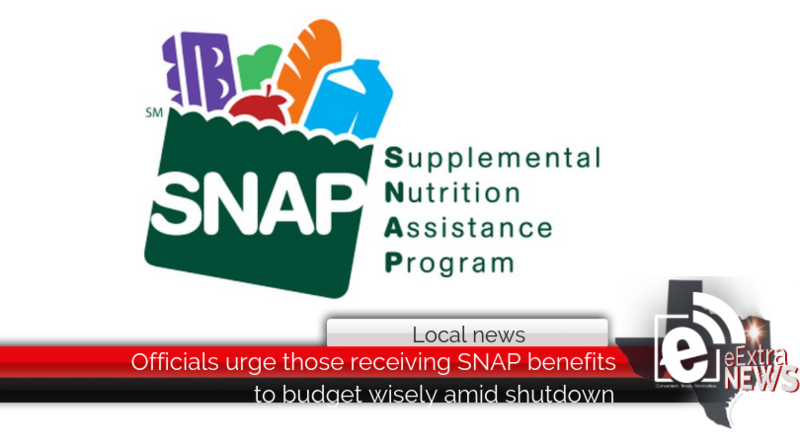 Officials urge those receiving Supplemental Nutrition Assistance Program benefits to budget wisely for February as there is no end in sight for the partial government shutdown. “We have tried to make this as painless as possible consistent with the law,” acting White House Budget Director Russell Vought said during a White House briefing. The benefits are being paid early due to an obscure provision in the last spending bill. The provision allows the United States Department of Agriculture to make payments that it is already obligated to make within 30 days of the expiration of the law, USDA officials said. USDA’s announcement did not address what will happen with March SNAP benefits if the partial government shutdown continues, according to the Center on Budget and Policy Priorities. CBPP said millions of low-income households — including millions of poor children, parents, elderly people, and people with disabilities — could have their basic food assistance cut back substantially in March and then eliminated altogether starting in April if the shutdown continues. The food stamp program serves nearly 40 million people nationwide, with about 60 percent of those being children, the elderly and people with disabilities. One month of SNAP benefits costs about $4.8 billion, according to USDA officials.